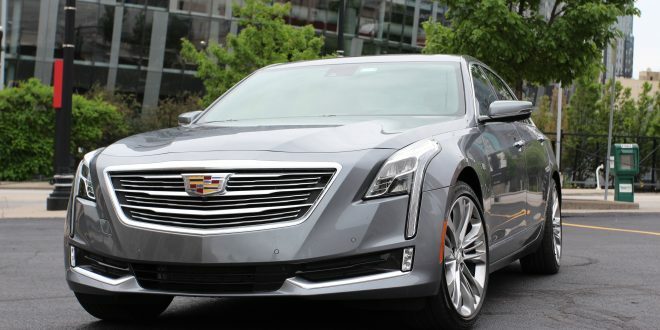 The Cadillac CT6 may not be Cadillac’s flagship, but the car most certainly serves as the crest’s technology flagship. After all, the CT6 is one of very few vehicles on the road today that can pilot itself without the driver’s hands on the wheel. However, the CT6 has a few other tech Easter eggs that can be overshadowed by the dazzle of Super Cruise. 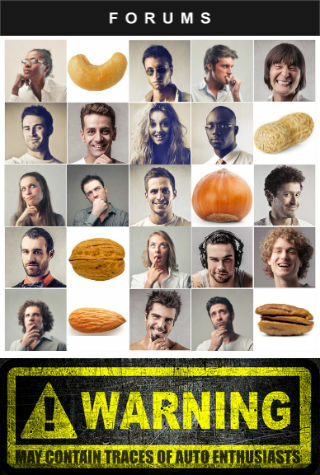 Let’s the get the obvious choice out of the way. Standard on CT6 Platinum and a hefty $5,000 option on CT6 Premium, Super Cruise is Cadillac’s hands-free driving functionality. 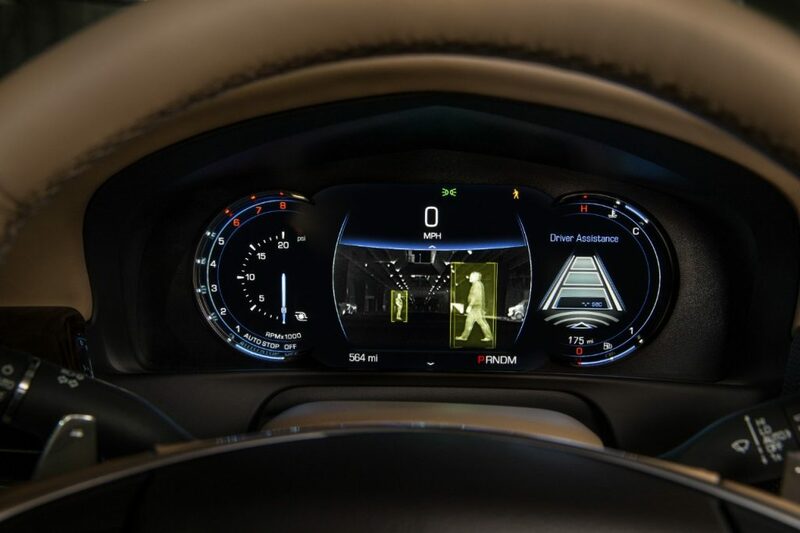 On limited access freeways, the CT6 can be piloted without the driver’s hands on the wheel. While its use is simple and straightforward (almost surprisingly so), it does have some drawbacks as noted in our recent CT6 review. Ironically Cadillac debuted night vision over a decade ago on the DeVille. After a short run, the company decided repairs to the system were too expensive to justify existent and killed it. However, the CT6 has brought back the feature. This time it is enhanced with the ability to identify objects in the car’s path and highlight them in yellow. It’s a bit gimmicky, but valuable when driving at night during crowded downtown areas. There’s a trend with the CT6’s tech: increased visibility. 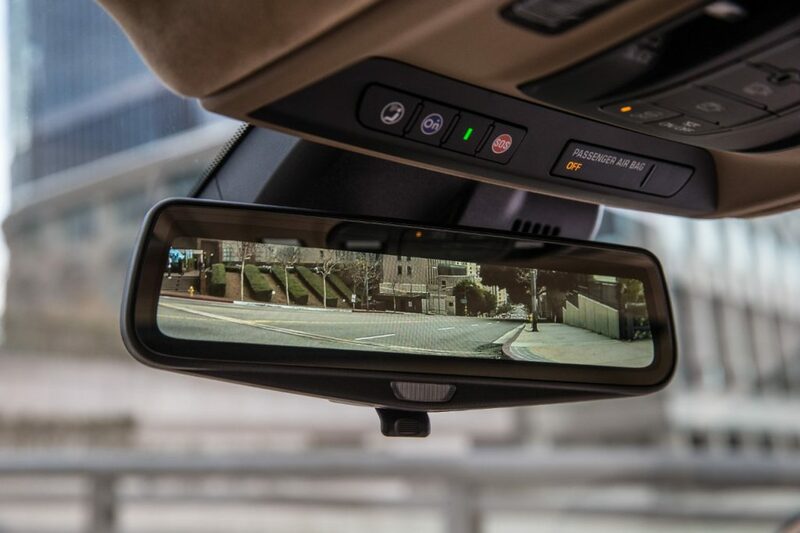 The car is among the first at GM to offer the company’s new rearview camera mirror. At first glance it appears no different from any other rearview mirror, but toggle the dimmer knob below it and the mirror turns into a screen. The image on it is piped from a rear-mounted camera that has a washer on it in case it gets dirty. During our CT6 testing we did not utilize this feature much, but it did prove valuable during the night. We also found it very difficult for the human eye to shift focus from the traditional mirror to a video display. Cadillac’s CUE infotainment system hasn’t garnered the most stellar of reputations in the automotive industry. Although pretty to look at since debuting in 2012, the system has been plagued with glitches and lengthy updates. 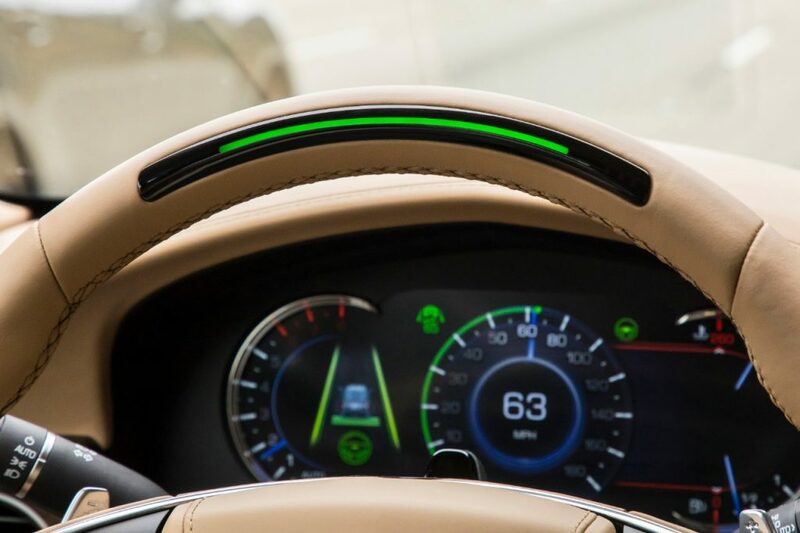 CT6 has a newer iteration of the software with a larger screen and German-like touchpad control to supplement the touchscreen. From a performance perspective, this version is at least acceptable using similar systems as a barometer. There’s still an occasional lag when asking CUE to execute certain commands. Cadillac has also added an app store to CUE, which enables drivers to download apps like People Magazine and iHeart Radio. 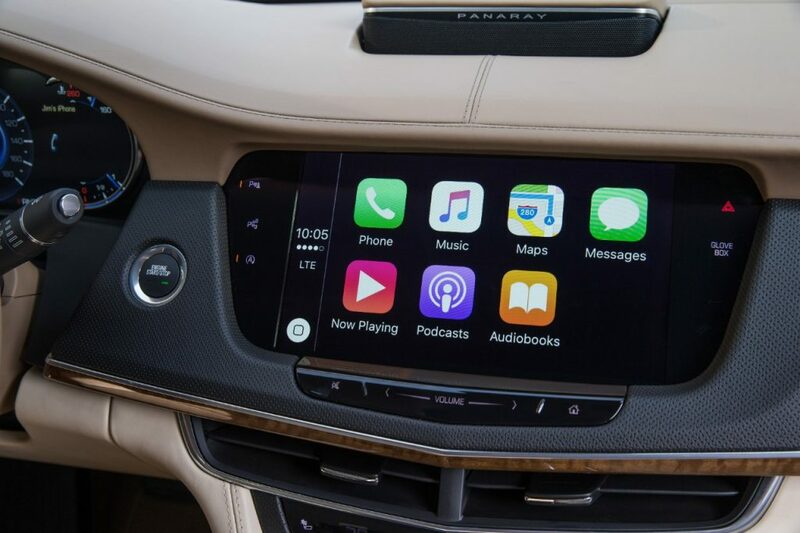 This CUE also offers support for Apple CarPlay. Connected to CUE is a 34-speaker Bose Panaray sound system. 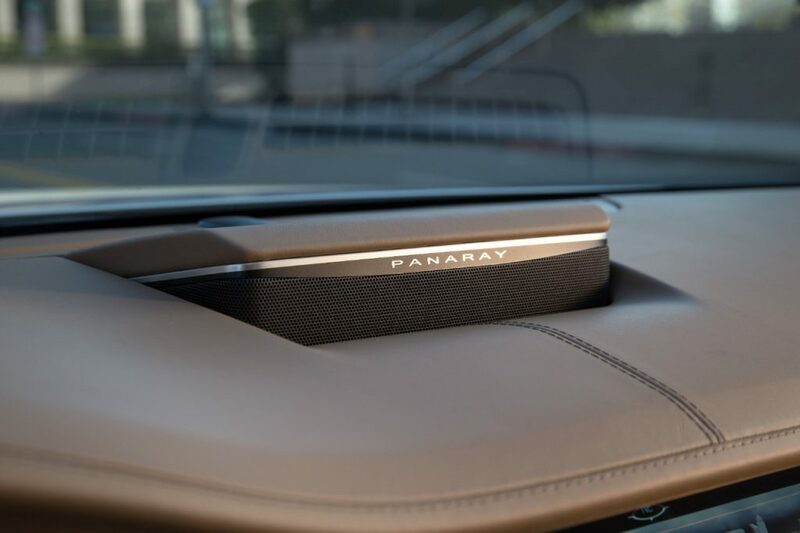 With so many speakers, it probably comes as no surprise that they are crammed everywhere in this car; including in the headrests. Of course, the sound quality is very good with this system, especially when paired with a USB input. That said, it suffers the same attributes we note from other in-car Bose systems: a lack of bass and clarity. The German’s offer higher quality sound with fewer speakers. I'm thinking you're taking about "Young Eyes"? Really wonder how it'll be for old ones - like us who prefer to not even Drive at all at night?? There's a noticeable delay in focus; for me and several others who played with it while I had it. Ugh — I already have problems quickly shifting focal depths. I suspect your eyes focus in a mirror — as if you were looking at the object behind you — but you look at a screen at the focal depth it is (close). That’s always going to be a challenge for those of us in our reading glasses years! I'm thinking you're talking about "Young Eyes"?